Health Care for All Oregon is reaching out to grow support within the Faith community. We believe that public declarations made by members of Oregon Faith communities (as well as congregational committees and leaders) will reinforce the shared belief that universal healthcare is a human right. 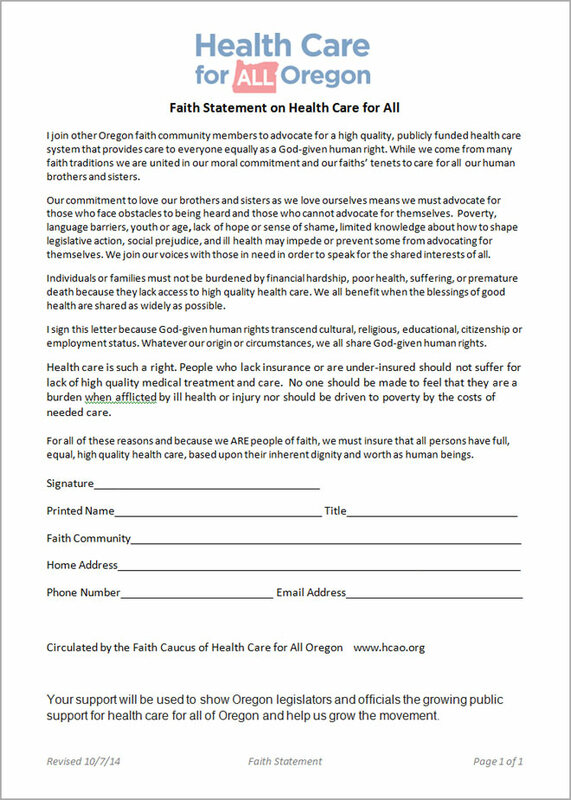 Download and fill out the following HCAO-Faith-Statement and join us at the HCAO Rally in Salem on February 11th.